Approaching Pine Island on U.S. Highway 52 southbound. TRAFFIC ZOOMS BY on U.S. Highway 52 around Pine Island, hurried motorists rushing to Rochester or St. Paul or places in between. On the left, a street sign directs motorists to U.S. Highway 52. On the right, the antique store that was closed the afternoon of my visit to Pine Island. I’ve been one of those travelers all too many times while en route to and from Wisconsin. Never pulling off to explore Pine Island. But always wondering what this small town holds and thinking I really ought to stop at the highway side Pine Cheese Mart. It’s too late now to visit the Cheese Mart. 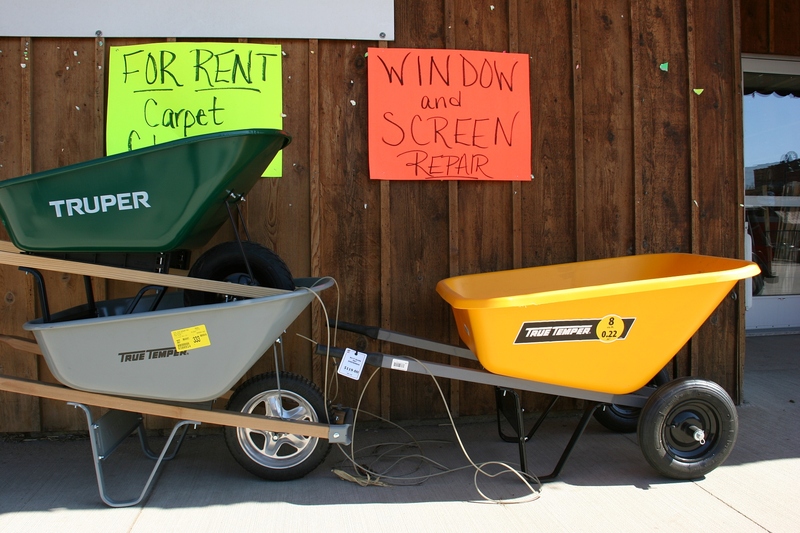 The long-time business folded last year after an exit into Pine Island was closed due to traffic safety issues. That closure made navigating to the Mart cumbersome, resulting in a business downturn. So I missed out on the cheese. 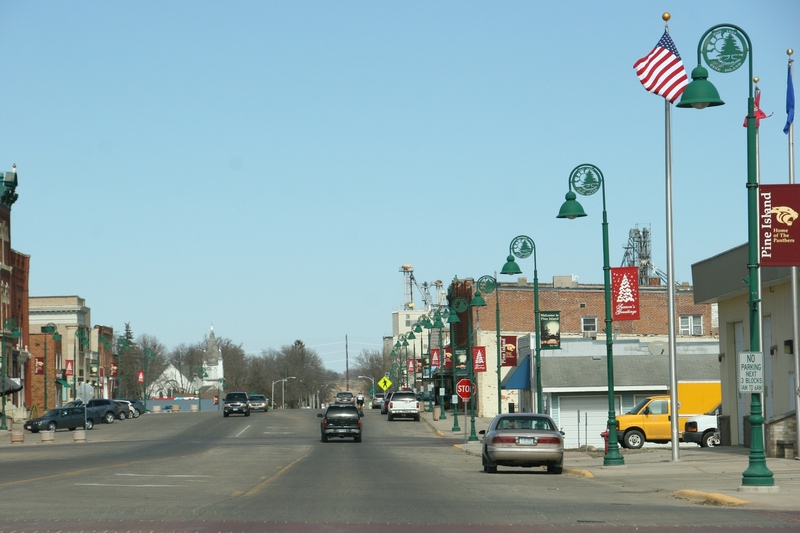 A view of Pine Island’s Main Street while driving into the downtown. Early this spring, my husband and I took a day trip to Pine Island. We hopped in the van with our Minnesota atlas and road map and headed east, stopping first in West Concord. My favorite scene of the day by the old butter factory where, yes, butter was once made. I should have done my homework. After the fact, I learned that Pine Island was once considered “The Cheese Capital of the World” That would have been in the opening decades of the 20th Century when some 40 cheese factories existed in the area. In 1911, Pine Island cheesemakers crafted a 6,000-pound block of cheese for the Minnesota State Fair, earning that cheese capital title for the town. Today the small cheese factories are gone with only the large Land O’ Lakes cooperative producing cheese. But the community honors its cheesy past with an annual July Cheese Festival. Look closely at this downtown mural and you will see a hunk of cheese, a visual tribute to this community’s rich cheese past. Perhaps I missed it. 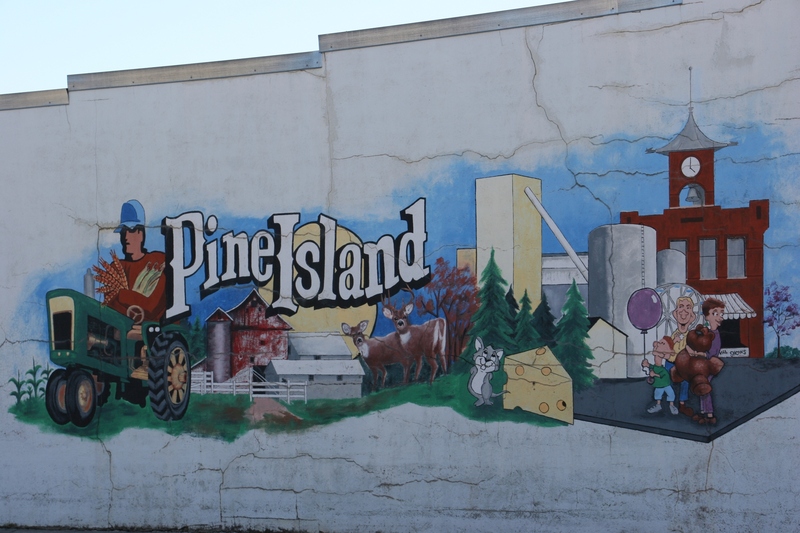 But I didn’t notice anything visually significant tipping me off to Pine Island’s rich cheese history other than a mouse and a block of cheese painted onto a downtown mural and a lovely brick building labeled BUTTER-FACTORY. 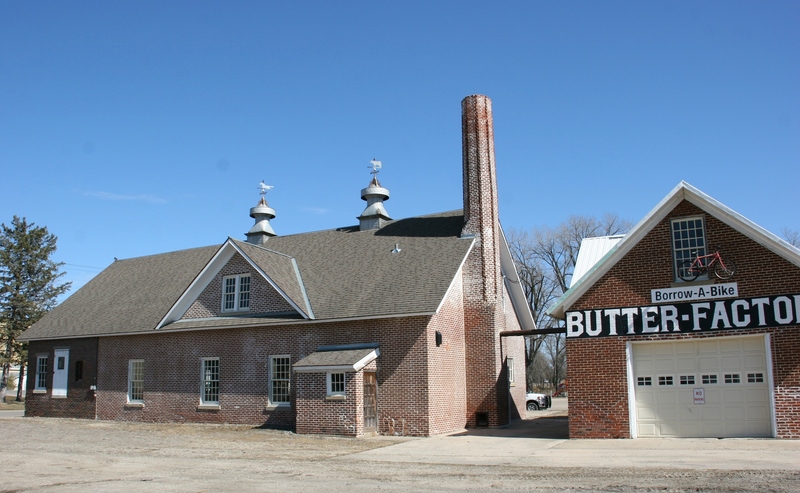 This old butter factory now holds bicycles available to ride on area trails. I should have done my research. 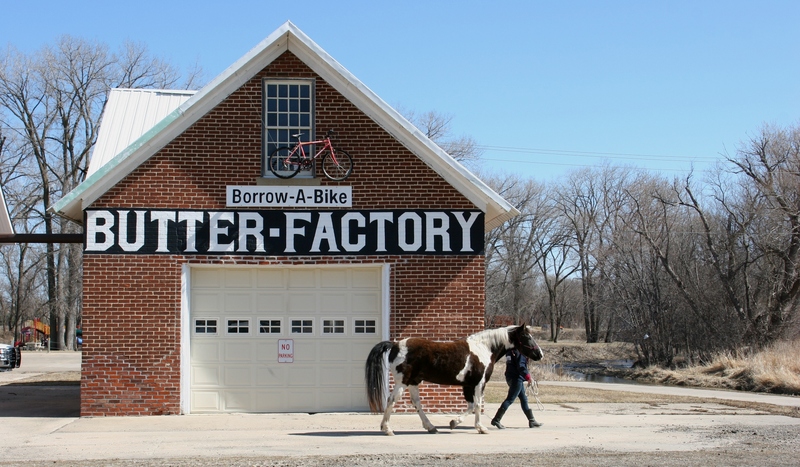 The old Butter Factory today houses bikes and bike helmets available to borrow at no cost from 10 a.m. – 6 p.m. on weekends to cyclists using the nearly 13-mile Douglas State Trail from Pine Island to Rochester and Pine Island’s Paths to the Past trails: Historical Trivia Trail, Young People’s Path and Homes & Heritage Trail. Check ahead as this usage is seasonal. 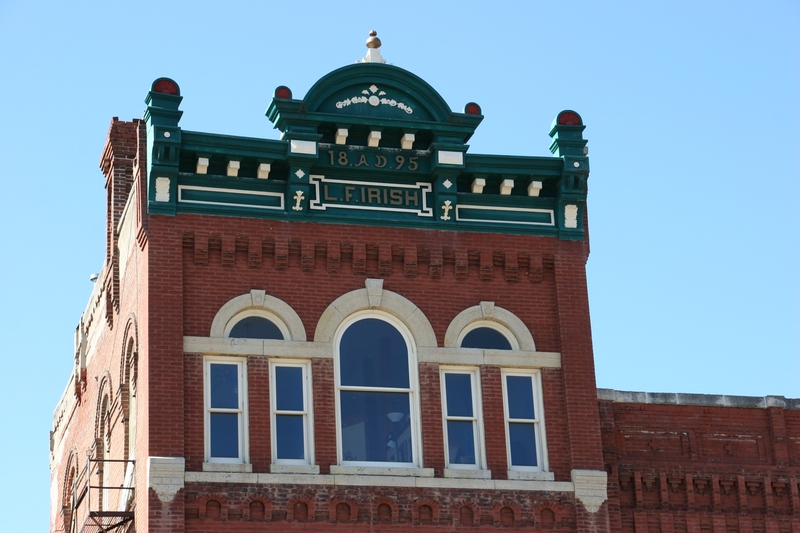 Downtown historic buildings feature stunning architectural detail. 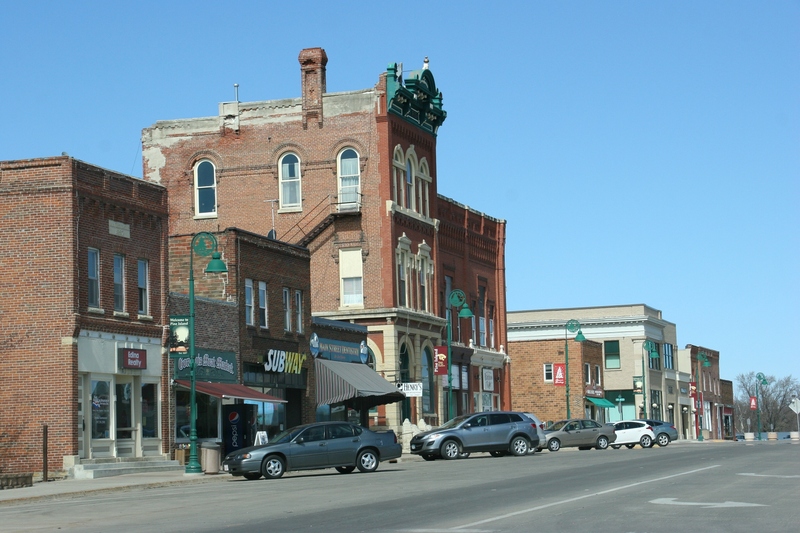 A broad view of downtown historical buildings with grand architecture. A stairway appears like a work of art on the side of an aged building. I stood in an alley and aimed my camera up. 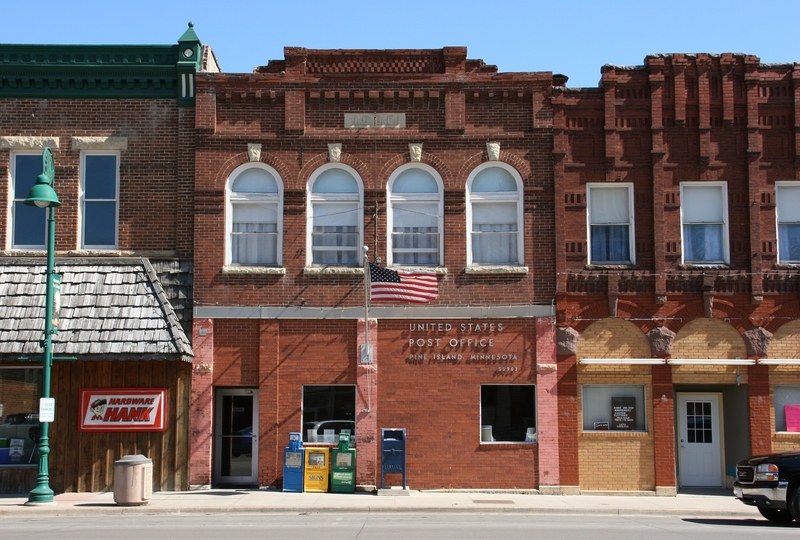 More historic buildings, including one that houses the post office. 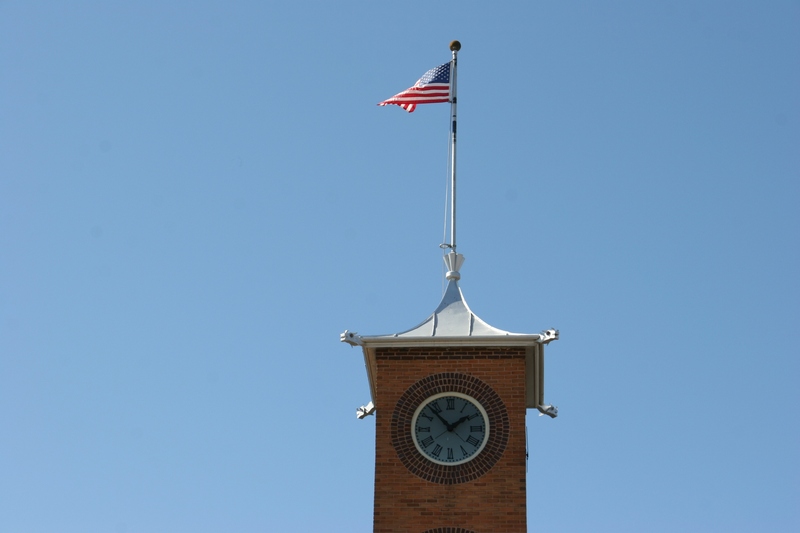 The top of City Hall. 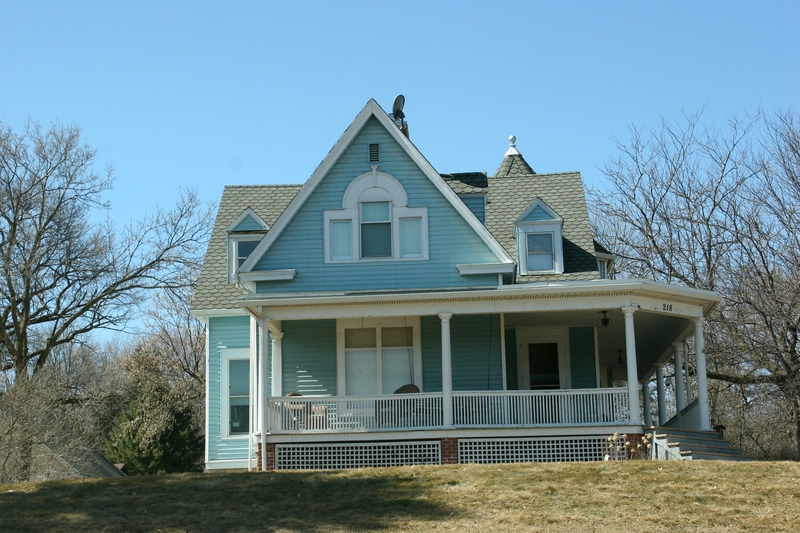 I snapped a quick shot of this lovely house with a wrap-around porch while driving by. Another sweet house near downtown. I was disappointed, though, to find the one antique/furniture refinishing store, Green’s Stripping & Antiques, closed when I was there. The theatre that I wished I could have seen. 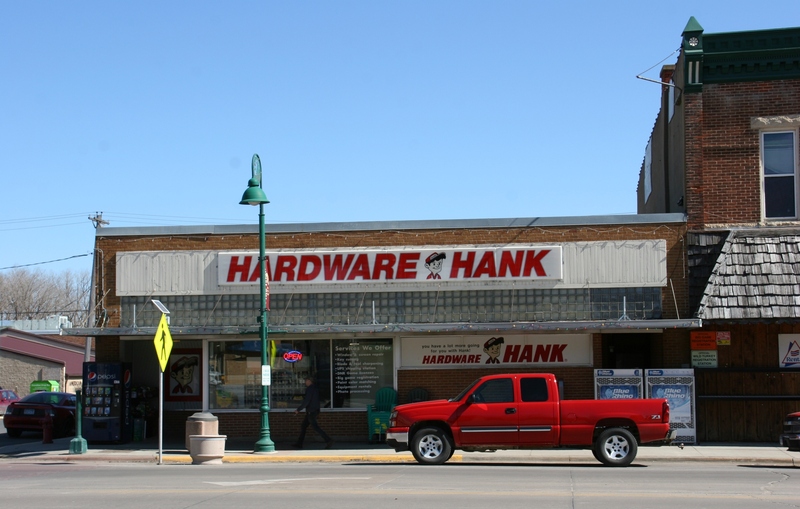 Many small towns still have thriving hardware stores like this Hardware Hank. I even noticed a below street level barbershop. 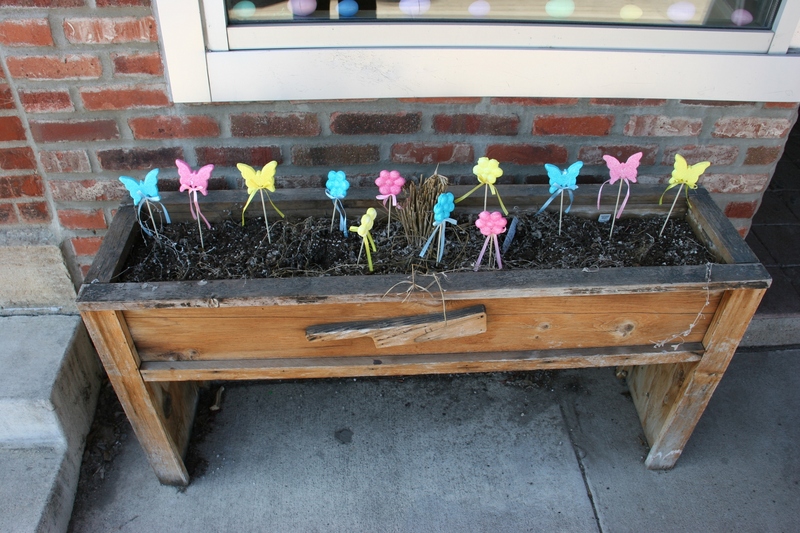 I spotted this early spring scene in a flower box outside a downtown business. 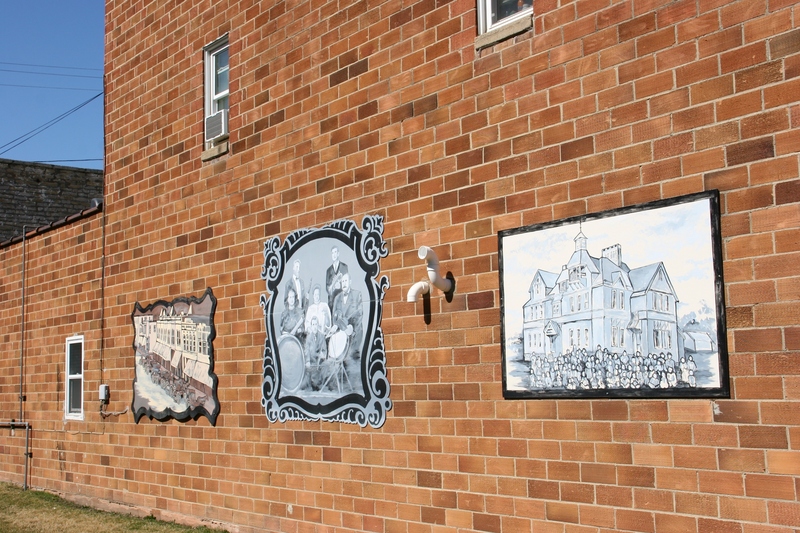 Murals grace the sides of two brick buildings sandwiching a vacant lot that is now a downtown mini park. 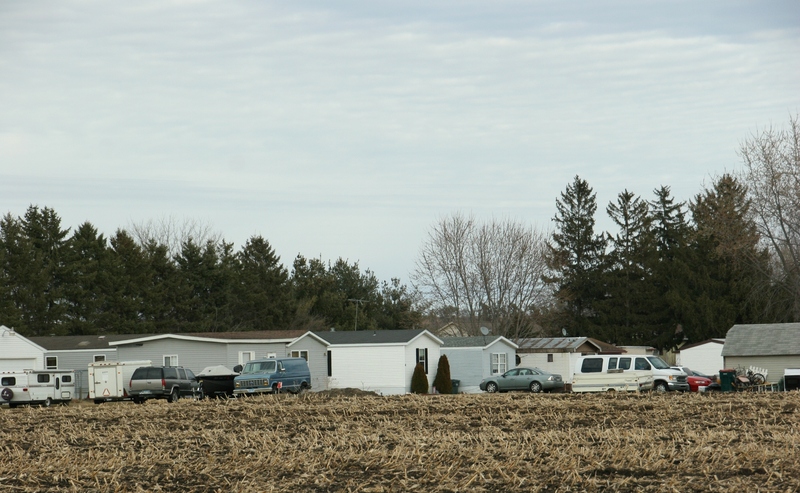 Driving out of town, I shot this image of Pine Island’s mobile home court across the then stubbled cornfield. 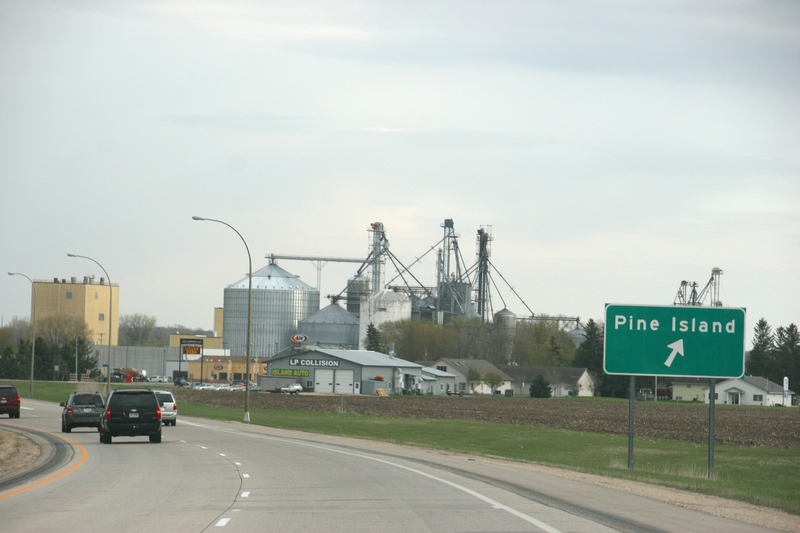 IF YOU KNOW Pine Island, what other things did I miss on my first visit to this Minnesota community of 3,300 residents? How did Pine Island get its name? According to the Minnesota Historical Society “Minnesota Place Names,” an early settler named the town Pine Island in 1855 for the large, lone white pine on a small island in the Zumbro River. The island was once thick with pines and was once a winter shelter to the Dakota. Check back to read about the Rainbow Cafe, where we ate lunch. I believe we only stopped at the Cheese Mart once in the hundreds of treks to the Cities!!! Always in such a hurry….sigh. Once again, the architecture is riveting (yup, another one! Ha!)! I am totally in love with your travelogues!!!!! Always in a hurry defines life for most everyone. I find these day trips a respite from the craziness of life. Glad you enjoy these peeks at small towns. All of your pictures are beautiful but those old houses look like a great place to sit and knit while watching the people drive by. I love houses with porches. I love the architectural aspect of your photography in small towns. And darn it, Audrey! You tantalize me with those antique stores in so many of these little villages. I cannot resist stopping at an antique shop! What can I say? I love the architecture of old buildings. And antique shops, just cannot pass them by. Interesting looking town and no stop light in sight! 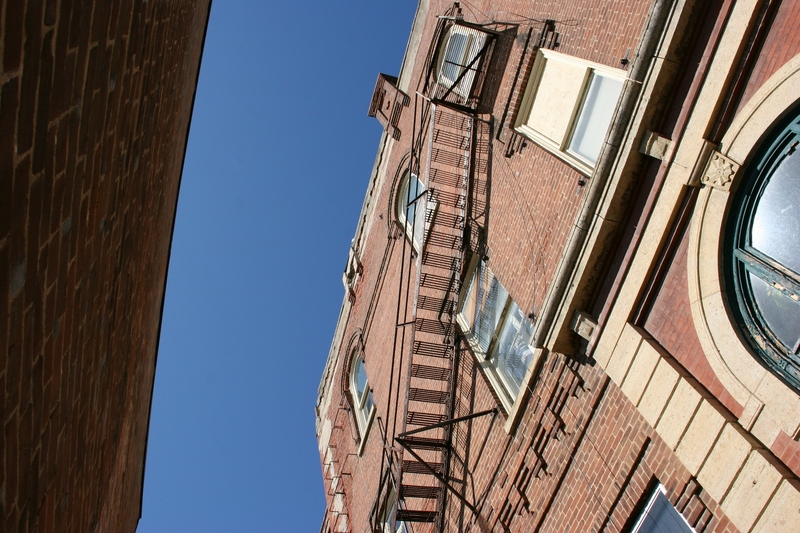 As always I enjoy your capturing of the architectural details of the buildings and the flavor of small town America. Your pictures and comments always make my morning coffee that much better. No stoplight that I recall. That meets your criteria. Thank you for your sweet words, Don. Means a lot to me. Fun and interesting looking town that many probably just drive through without stopping to take a closer look. The antique stores are always a draw for me as well—next trip you can find it open hopefully. Yes, I’m always disappointed when these stores are closed, especially on a Saturday. 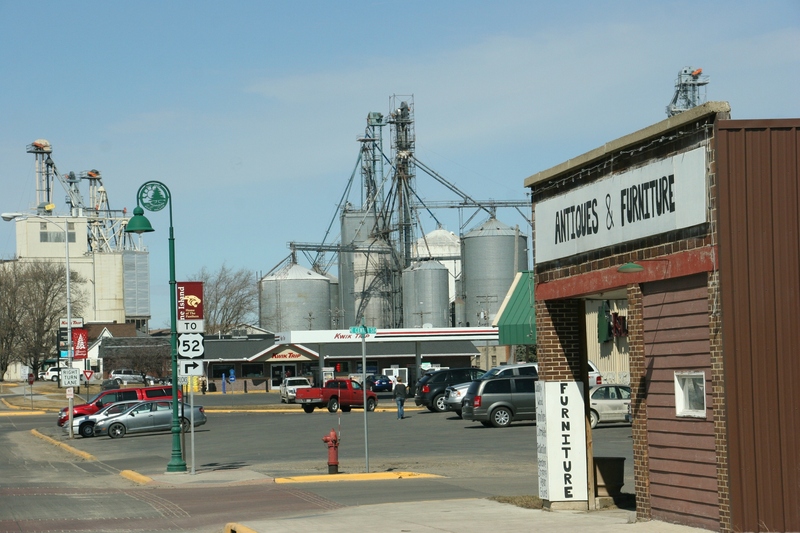 Pine Island is in a good location for growth and change. Not a lot of small Minnesota towns have experienced what your hometown has; rather, they’ve declined. I remember reading that when I was researching Pine Island. But thanks for the reminder, Jason. I am a Pine Island resident and love the small town life. Our history center is amazing and staffed with friendly and knowledgeable staff. I believe Pine Island got its name from the local Indians that named the area Wazutta which ment Island of Pines for the white pines that used to stand tall in the area. When white men settled the area they changed it to Pine Island. Please stop back by and visit the history center and find out all kinds of awesome facts and history of our quaint small town! Thank you for the additional info and for your inviting welcome. I have published other posts about Pine Island besides this one. 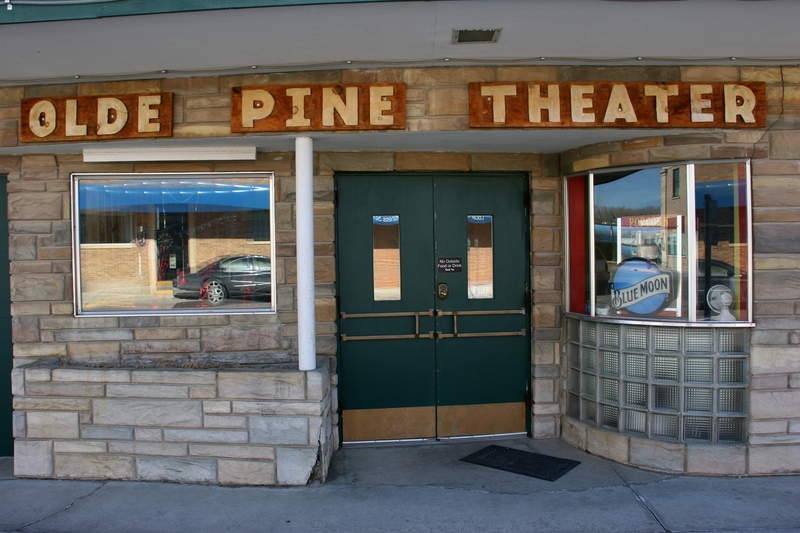 Type Pine Island into my blog search engine to find those. You missed visiting Twin Cities Rod & Custom which is Minnesota’s oldest speed shop and is located right on Main Street in Pine Island! 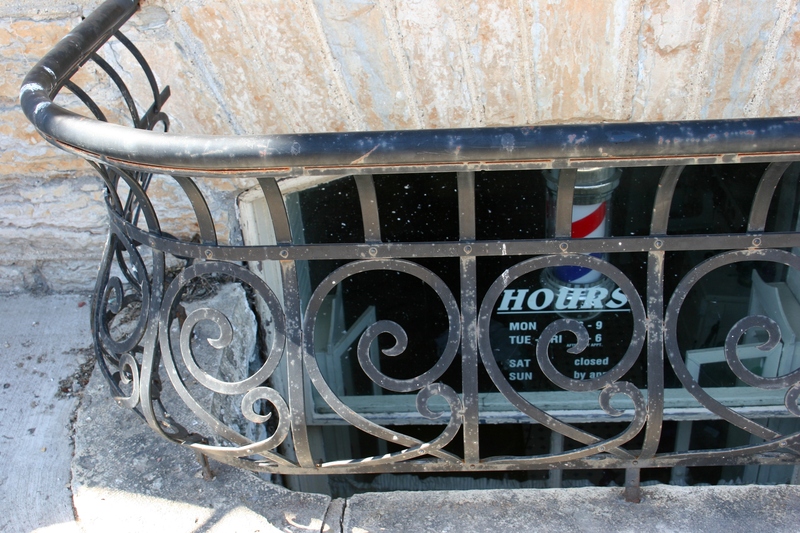 The store is in a historic building with beautiful tin ceilings that date back to the building’s general store days. TCRC also holds an impressive collection of local and national automotive history. My automotive machinist husband would love this business for the automotive history. I would appreciate it for the tin ceiling and character. Thank you for suggesting this. I’m sure I missed a lot of Pine Island. Time doesn’t always allow me to see everything. And sometimes places are not open when I am visiting. Twin Cities Rod and Custom was closed when we were there. Besides I can see that kind of stuff every day. Ah, that makes sense that you wouldn’t want to look at anything that is work-oriented. You missed the Van Horn Public Library. Even though it is small and in a very old building, it houses many, many wonderful books and resources. It is also staffed by some very friendly, helpful folks!! Our 5-12 school is also wonderful with all the remodeling and new amenities. We have the best school administration, teachers and support staff!!! Our K-4 new school is tucked away in the country. 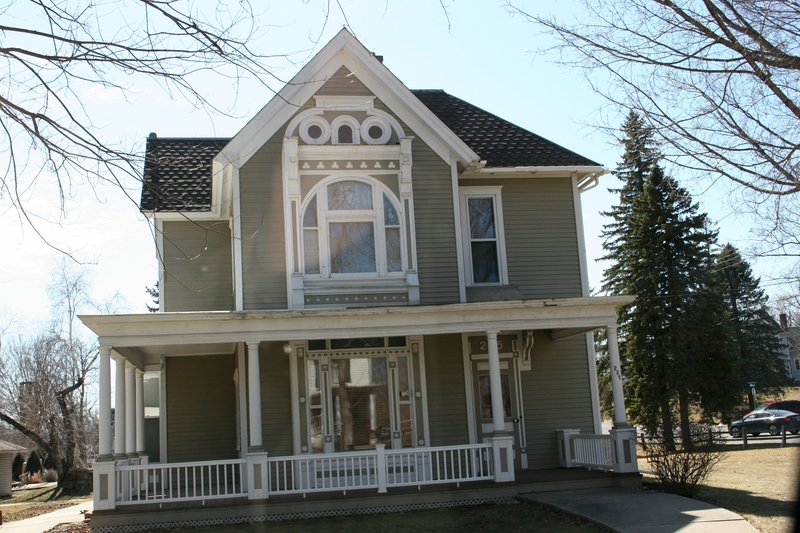 Pine Island has so much to offer for a small community. Be sure to come back and visit during Cheese Fest in June. It is our 81st annual celebration of cheese and our town!! It’s clear you love Pine Island. Thanks for sharing so many positive things about your community. My dad owns Greens Antiques, stop by next time you’re in town! Dear Pine Island fans, please type Pine Island into my blog search engine to find several posts I wrote on your community. That’s a wonderful article! Thanks so much for sharing! !